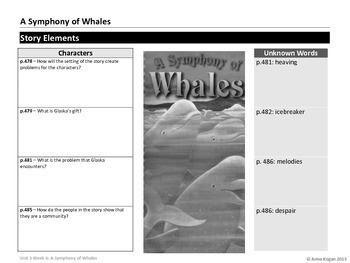 Help your 3rd grade students stay on-task as they read the weekly story with these graphic organizers. 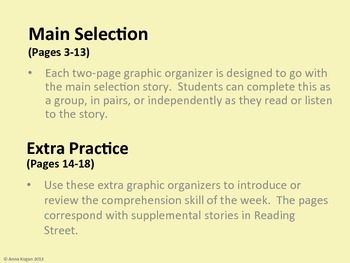 Each two-sided graphic organizer correlates to the main selection story in Reading Street and includes page numbers, diagrams, and targets all of the weekly skills and strategies, including main idea and details, sequence of events, compare and contrast, visualization, drawing conclusions, and author's purpose. 1) How Do You Raise a Raisin? 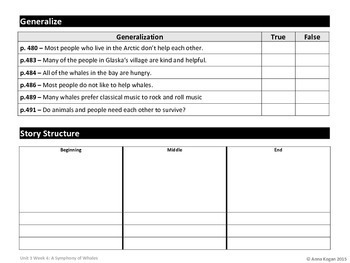 There is also a bonus graphic organizer that corresponds with one of the supplemental stories for each week. 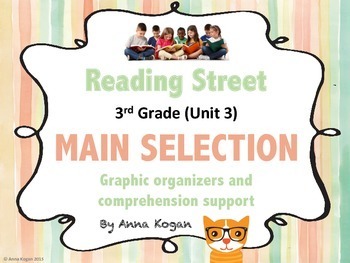 Please rate this product and let me know if you would like access to just ONE of the stories instead of the whole packet or if you have any questions. Enjoy!